Advanced Fantasy Baseball: Trade Jose Reyes for Greinke, Jones, and Hill? I'm in a 14 team 4 player keeper league that is now in its fifth year. I can't sleep at night with a feeling of buyers remorse after making a trade yesterday. I decided to deal my fantasy God Jose Reyes for Zack Greinke, Adam Jones, and Aaron Hill. I have owned Reyes since his career began but this trade seemed so interesting. Did I do the wrong thing here in getting rid of Reyes for possibly some players who could be over performing now. Honestly I just wanted to hear an outside opinion because I'm getting ripped apart on the boards in my league. I think you can relax, Scott. I think you made a great deal for yourself. It is always hard when you give up the unquestioned best player in the deal. You are right that Zack Greinke probably will not have an earned run average under 1.00 for the entire season. Adam Jones is unlikely to bat for a .380 average. Aaron Hill may hit 20 homeruns but I would be shocked if he hit the 30-plus for which he is presently on pace. But that is no reason to worry. Zack Greinke is becoming the ace pitcher he was always projected to be. He should be a Cy Young contender all season. He is striking out better than a batter per inning which is excellent for a starter but only slightly better than the pace has established over the last few seasons. His BABIP is .292 so far which indicates that he hasn't been particularly lucky with balls in play. He induces ground balls so he should limit the damage that flyballs can do as well. FanGraphs has him with an FIP of 1.38 (compare it to ERA if you aren't familiar -- with some luck factors removed) so it is not an illusion, he is in fact pitching like an ace. 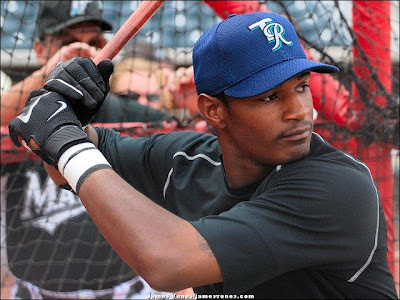 Adam Jones has been projected as a potential 30/30 star outfielder by dozens of analysts including me. In addition, Jones was predicted to ready for a breakout entering this season by just about every fantasy writer in the business. He is being more patient at the plate so far with 9.1 percent walk rate compared to a 5.2 percent career rate. His contact rate has improved and swinging at better pitches naturally leads to better numbers. I believe the batting average will come down to the .290-.300 range. But the power? The power is here to stay. I think we're looking at a very real 30/30 ((okay, maybe 30/20) season in the making. I've always liked Aaron Hill a little more than most. Probably because I drafted him as a minor leaguer in my primary AL-only and he contributed to a championship. Hill is getting lucky at the plate so far. His walk and strikeout rates are right at his career averages. His BABIP is at .388, almost 70 points over his career average. His career high in homeruns is just 17 (hit the year before his injury) but at age 27 he would not be the first player with experience to see a power spike. I doubt he hits 30 homers but a career high in the 20-25 range would not be ridiculous. His average will come closer to his career .289 average. Some might consider this a disappointing analysis but a .290 average with 20-plus homers from second base is not a bad thing. I have to assume Scott, because he made the deal that he is not concerned with stolen bases because this is the area you will no doubt lose the most. Jose Reyes is in a mini-slump after starting the season fairly hot. This is mostly the result of an unlucky streak. His BABIP is .283, almost 40 points below his 2008 level and 27 points below his career level. I am not at all worried about Reyes' production. Jones will lessen that loss slightly but the big benefit in this trade is in homeruns, Runs, RBI, and adding the (presently anyway) best pitcher in baseball. You should relax Scott, and tell your league mates they can drink out of your championship trophy at the end of the season...after they admit they were wrong.